Those who happen to be in Rome and yearn for adventure will find the Amalfi Coast to be an enticing destination. Not only is it one of the most beautiful places you’ll ever find in Italy, it’s pretty close to Rome too. The trip, however, involves a lot of winding paths, so it might not be for the less experienced traveler. For instance, the SS163, the road which leads to the coastal towns, are not easy to traverse. If you’re not up to driving yourself to Amalfi from Rome, then you’ll want to look into your alternatives. There are a lot of options to choose from, all of which will involve scenic trips, which means that they are best enjoyed with an experienced guide. There are also private car services that take clients from Naples or Rome to Amalfi. This is no doubt the best way you can enjoy the scenery as you take the road trip to Amalfi, since the drivers will know their way and all you have to do is to enjoy the ride. But this will cost you a pretty penny. For those who want to avoid the road, you can opt for the train and ferry routes as well. You might want to look into these options. 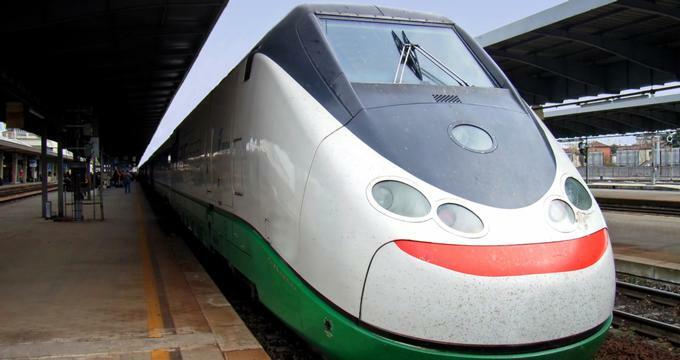 Compared to most parts of Europe, taking the train in Italy isn’t as expensive. There might be a downside, though, as you might get caught in the crowds brought in by rush hour. So if you’re planning to make the trip, try to avoid those times. Getting to Amalfi means catching the Trenitalia train in the Roma Termini, which is Rome’s main train station. This will take you to the Napoli Centrale, which is the main train station of Naples. Most trains will travel directly to these two stations, but some will have some train changes. These trains run from early morning to late in the evening. Once you reach the Napoli Centrale, you’ll want to look for and board the train that goes to Vietri sul Mare. Here, you’ll be able to find local buses take you to towns in the Salerno Province. Of course, there will be buses there that will take you to Amalfi. - Super Economy ticket, which is the cheapest of them all, but is limited in supply. Trenitalia trains are not available in all cities of Italy, but they are available in Naples, Vietri sul Mare, and more importantly, Rome. Some trains are indeed faster than others, and they are usually more expensive. But what’s important to remember is that you have options, so pick one that you think best suits your travel preferences. Make sure to check the schedules online as well, prior to booking tickets. Of these trains, the most expensive option would be the Frecciargento. It is, however, the fastest and offers first and second class compartments. They have a bar too. The less expensive counterpart would be the Regionale, which are local trains that follow the commuter schedule. They’re pretty reliable but are prone to crowding during peak hours. Sometimes they offer an upgrade from these tickets to first class, so feel free to ask about it. For those who want to get the the Eastern Amalfi Coast, you’ll need to take the bus that’s in Salerno. To get there, you’ll first have to take the regular Naples train to Salerno and get on a bus that takes you to Amalfi. There are also summer season ferries that travel from Salerno to Amalfi, Positano, and Minori. Schedules can be found online at the Travelmar official website. If your target is to stay in one of Amalfi Peninsula’s villages, then you’ll want to take a car instead. Driving from Rome means you’ll take the A1 Autostrada leading to Naples and then taking the A3 Autostrada after. Exit through the Castellammare di Stabia and then take the SP 145. Follow the coast through Via Sorrentina to finally get to Sorrento. To get to Amalfi and any of its nearby villages, take the A3 and then to Vietri Sul Mare. Then go through the SS 163, Via Costeira, and then head to Amalfi. Ferries and hydrofoils travel between the various ports including Naples, Capri Island, Sorrento, and the rest of the Amalfi Coastal towns. Note, however, that there are no direct trips from Naples to Amalfi. This happens between April 1 and until the middle of September, but some ferries run in other seasons too, though they’re not just as frequent. You’re going to want to check the hydrofoil times online to get the right schedule and book tickets. It’s better to do this online especially if you’re booking for a peak summer schedule. Tip: You can get other arrangements online. Aside from the train and ferry schedules, there are also sites like Auto Europe that can help you book cars for rent. The same thing goes for finding accommodations while you’re in Amalfi. Make sure you know which areas of Amalfi you’ll be taking interest in so you can book a hotel that’s closer to those places. Like all other establishments in the travel business, be on the lookout for promos and discount offers. With a bit of research and preparation, making your way from Rome to Amalfi should be a breeze. Just remember that the journey itself is an experience, so take time to enjoy the scenery as you pass by.